The idea of memorization is knowing Allah – Your Creator – better. Because the more you know about Him, the more you’ll love Him and the more you’ll love Him, the more you’ll try to please and worship Him. Allah is Perfect in His Essence, His Names, His Attributes and His Actions, with no peer, equal or rival as mention in Surah Ikhlas. 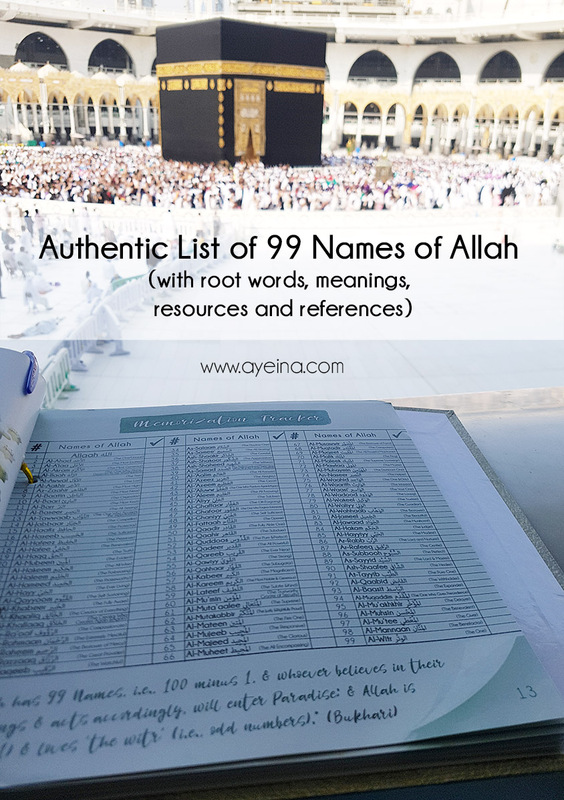 1) Adding/Subtracting names in the list of Allah’s names without any authentic proof – for eg: names like Ar-Rashid, Al-Wajud (the Existent), Ad-Dahr (time) & Al-Wajid (One that gives existence to others) are not the names of Allah. 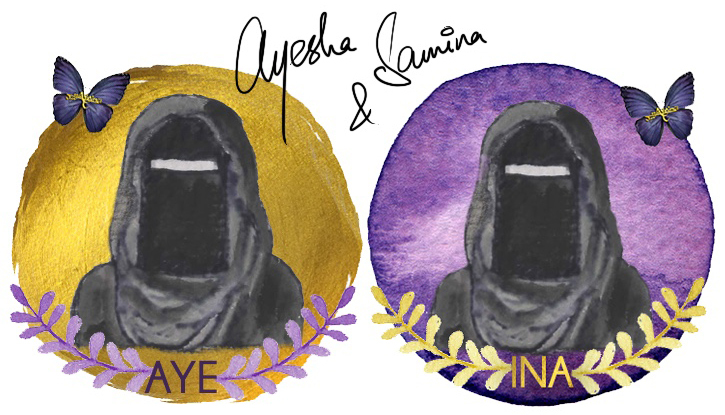 Names of Allah are not affirmed by the intellect – they can only be affirmed by Revelation. We should accept what is narrated in the Qur’an and Sunnah and not add or subtract anything. Based on this, it is not correct to call Allah by any name other than those by which He has called Himself in His Book or those that His Messenger (صلى الله عليه و سلم) called Him by in the saheeh ahaadeeth. 2) Using names of Allah that are not authenticated in Qur’an or ahadith as names of human beings with the prefix “ABD/ABDUL” (slave of ____ )). 3) Repeating one of the Names of Allah specific number of times to get one’s dua answered (without any proof from the Qur’an and Sunnah). 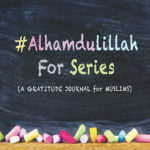 4) Deriving names for Allah from His attributes (Affirmed Attributes (Thubootiyyah) – Dhaatiyyah (Attributes of His Essence) and Fi’aliyyah (Attributes of His Actions)) – for eg: Whatever begins with “dhu” (possessor of) is not included in Allah’s names as they are considered Allah’s attributes. Click the image to download the free Arabic e-book version from Ajurry. 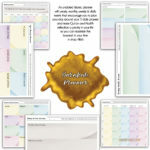 I have personally been using the Memorization Tracker from the Productivity Journal “I will in shaa Allah” (section: Tawheed in *Spiritual Development*) as shown below, but you can use various methods to test your knowledge in shaa Allah – for eg: quizzes from Islamic Online University, Creative Motivations etc. 1. The first level, to memorize their words. 2. The second level, to understand their meanings and implications. 3. The third level, to make du’aa (i.e., supplicate) to Allaah with them, this encompasses both supplication of worship and supplication of request. 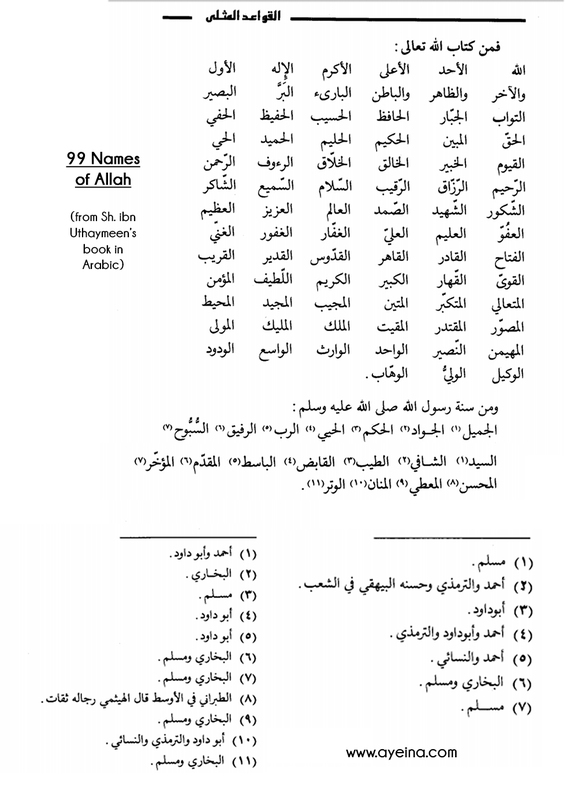 The following table is not in any particular order and is based on the list authenticated by Sheikh ibn Uthaymeen (may Allah have mercy on him) – (which was inspired by the work of Ibn Taymiyyah (may Allah have mercy on him)) – we have simply followed the order in which we have mentioned them in Memorization Tracker of our Productivity Journal for Muslims (I Will In shaa Allah). You can memorize and internalize them in any order you deem fit. Please find all the references embed inside the purple underlined font – for cross checking from Qur’an and Ahadith. ح س ن in the hadith of Shadad ibn Au’s in al-Mujam al-Kabir (7:257) it is narrated that the prophet (pbuh) said ‘God is Mohsin so you too bring Husn in your deeds … ‘. Al-Albani considers the hadith to be authentic in his Sahih al-Jami (1824). A number of the well-known scholars of the past including Ibn Taymiyah (in majmu’a al-fatawa 1:379) and ibn Qayyim (in madarij al-salikin, 1:418) have referred to Mohsin as a name of God. Masha’Allah very detailed, I recognise most of the names but never knew all of their meanings. I love this! 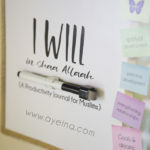 My daughter is learning to the names of Allah(swt) and I am too along with her as we practice. It is so important to truly understand the Almighty! MASHAALLAH. Great article! 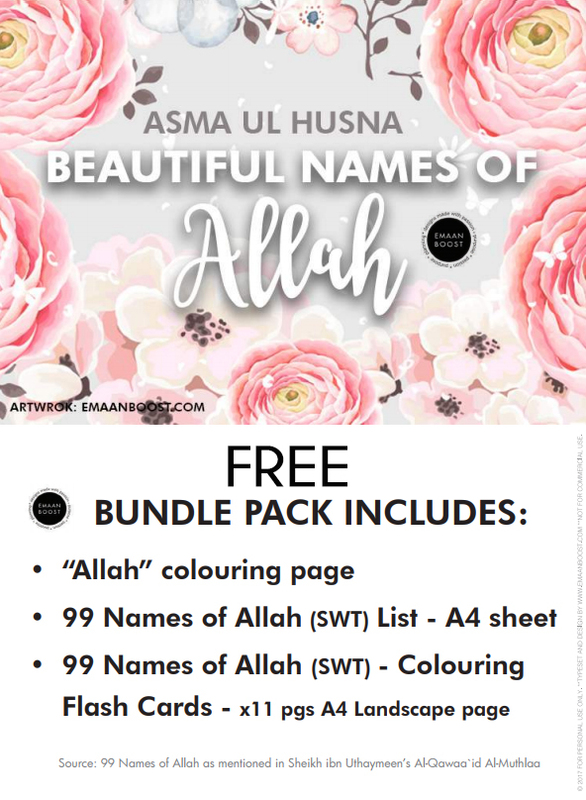 It’ll help people to understand the meaning of Allah names.